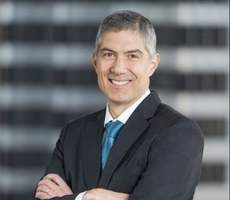 Paul Markovich, president and CEO of Blue Shield of California, explained the plan's innovation strategy including its investments in OODA Health and Gemini. Paul Markovich has spent over two decades at Blue Shield, the past six years as CEO. But for two years — right about when the dot-com bubble burst — he left to try his hand at a startup of his own. Markovich returned, and his experience is behind Blue Shield's interest in collaborations — as well as investments — with a variety of smaller health companies in hopes of reducing costs and better serving its patients. In September, the nonprofit health plan provider made a $1.5 million equity investment in San Francisco-based OODA Health, a cloud-based platform that uses data sharing to enable payment transactions and claims adjudication in real-time. Blue Shield also rolled out plans to use the new technology as part of a pilot program with Dignity Health and Hill Physicians in Oakland.